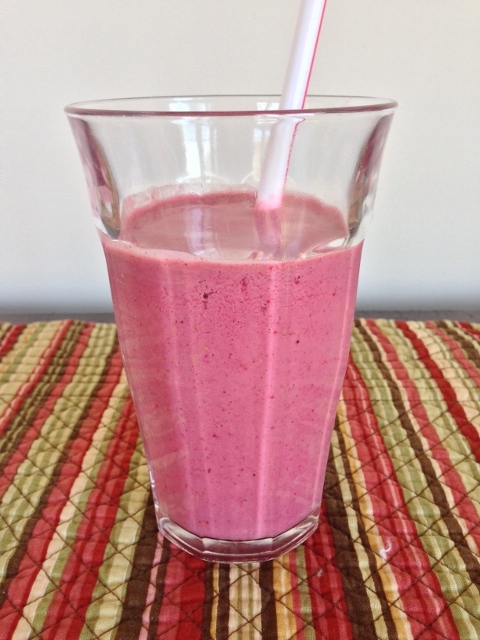 Raspberry Almond Smoothie - Recipe! - Live. Love. Laugh. Food. 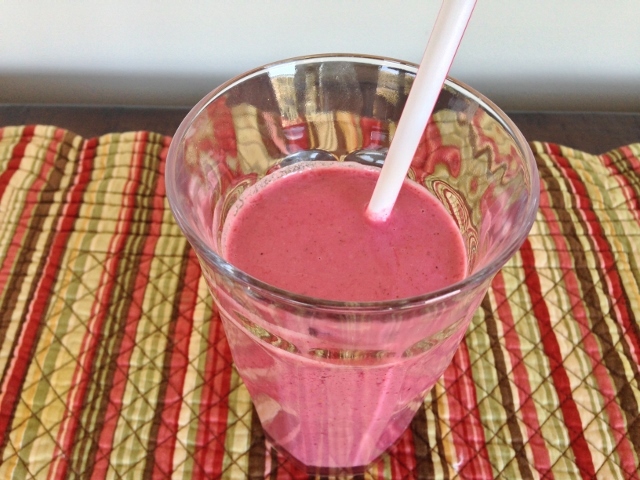 Raspberry Almond Smoothie – Recipe! After a big week of eating, most of us need a little detox today. 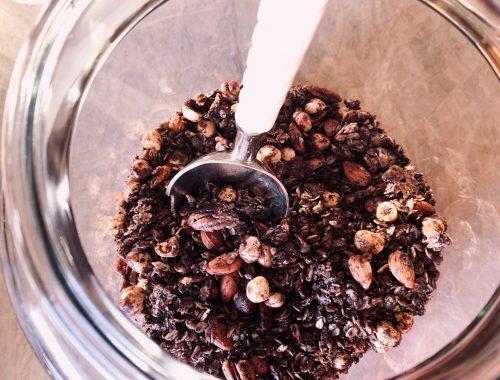 Smoothies can be a quick blend of fruit and nuts with a bit of protein from powder or nut butter to balance it out. What’s great about smoothies is that you can make them quickly in the blender and start your day on a healthy note. You can even go vegan with this meal because nut milks turn any smoothie rich and creamy with an additional boost of flavor. Frozen raspberries are a freezer staple and you can use a cup at a time, so they won’t spoil like fresh berries. Almond milk has a huge shelf life too, so I always keep a box of it in my refrigerator for occasions when I need a quick healthy fix. Almond butter, almond milk and a splash of almond extract give this smoothie recipe a big dose of nuttiness plus some added protein and good-for-you fats. The combination of raspberry and almond will make you think you are enjoying a scoop of raspberry ice cream, but your not – it’s healthy. 1. 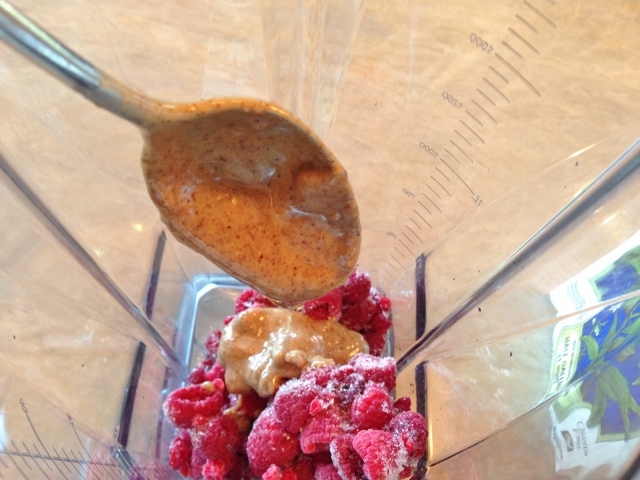 In a blender or Vita-Mix, add frozen raspberries and almond butter. 2. 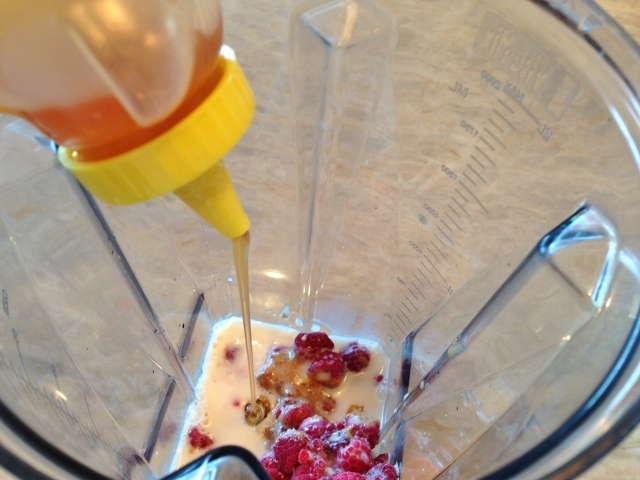 Add almond extract, almond milk and a squeeze of honey for sweetness. 3. 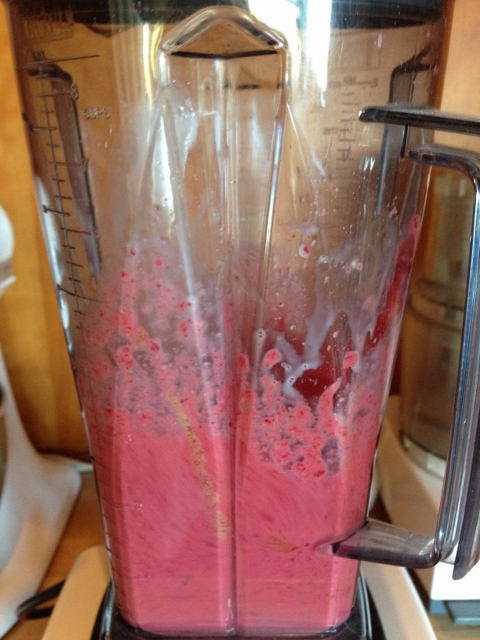 Blend mixture until smooth. Pour smoothie into your favorite glass and don’t forget a straw. Enjoy! 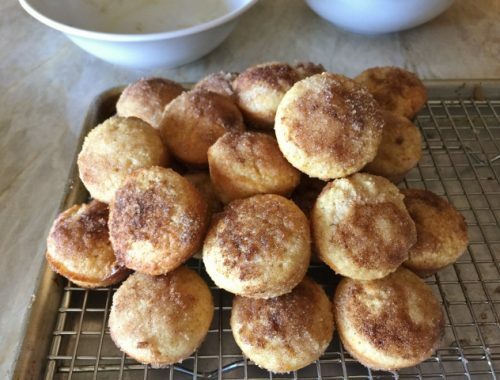 Apple Cider Almond Mini Donut Muffins – Recipe! 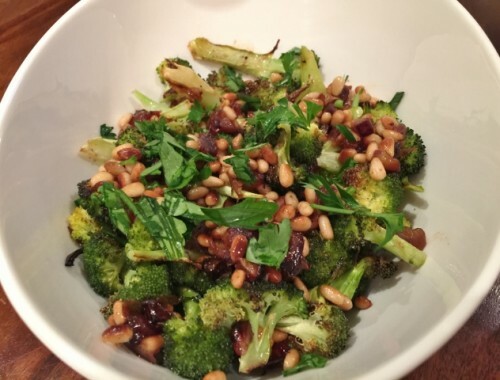 Broccoli with Pine Nuts & Dates – Recipe! Perfect Holiday Side Dish!